In just about 24 months, the world will arrive at the deadline for the UNAIDS "Fast Track" goals for ending the epidemic. The primary fast-track goal for HIV prevention is reduction in new diagnoses from roughly 2,000,000 a year, to less than 500,000. There's no chance this goal will be achieved. That's the bad news. The good news, such as it is, is that the reasons why the world is going to miss the target are obvious and can be tackled. This year's AVAC Report is dedicated to diagnosing the problem, and proposing actionable solutions. This Report is straight talk about today’s complex context for HIV prevention. Read this report if you’ve wondered what does it mean when there’s more rhetorical support than ever before for primary prevention for HIV-negative individuals but no more money? How can there be talk of being “on the path to epidemic control” while human rights remain in shambles in many places, and rates of HIV diagnoses climb in others? How can scientists be so sure they know what women want, without doing research to find out? In the Report, we argue that the state of HIV prevention data collection in 2016 is poor. One part of the solution lies in the adoption of “HIV Prevention Data Dashboards”. This tracking tool could bring the same specificity and accountability to non-ART prevention services that the “treatment cascade” of diagnosis, initiation, retention and virologic suppression does for antiretrovirals for people living with HIV. HIV Prevention on the Line puts the current discussion about global targets for ending AIDS in context. What makes a good target? What targets have worked in the past—and why? What is the state of HIV prevention targets and plans today? Research & Reality calls on funders and researchers to capitalize on lessons learned from a range of recent HIV prevention trials via better problem solving, more critical thinking and coordinated action. This year's AVAC Report identifies progress and gaps in large-scale human trials, rollout of proven options and ongoing research for new advances that women and men will want to use. AVAC Report 2012, Achieving the End—One Year and Counting, sets a clock on the global drive to end the AIDS epidemic. The past twelve months have seen remarkable global consensus that it is possible to begin to end the epidemic. 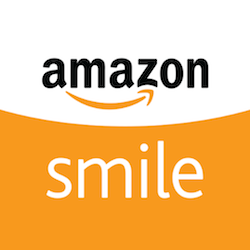 The same time period has seen concepts like “combination prevention” and “treatment as prevention” capture the world’s attention. But without specific interim goals—and far more precision about what combination prevention and other key concepts mean—the lofty goal of ending the epidemic will not be achieved. 2011 AVAC Report: The End? 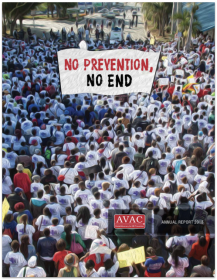 AVAC Report 2011, The End?, lays out a three-part, science-based agenda for ending the AIDS epidemic in our lifetimes. It synthesizes the actions need across the spectrum of existing, emerging and long-term biomedical HIV prevention tools that could change the AIDS response forever. 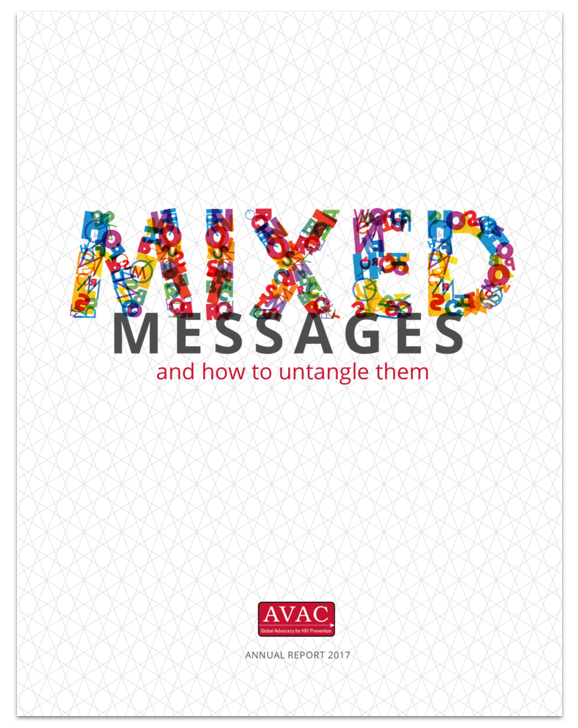 This year's Report also introduces the AVAC "Playbook" which is a new strategic document identifying global and organizational priorities for the year 2012. The AVAC 2010 Report, Turning the Page, highlights that the biomedical prevention field is entering the next chapter of its development. The past year brought the first evidence, from the Thai Prime-Boost trial, that an AIDS vaccine could prevent HIV in humans, as well as significant preclinical findings around potent, HIV-specific neutralizing antibodies. AVAC Report 2009, Piecing Together the HIV Prevention Puzzle, took inspiration from a quotation in the 2006-2008 review of the Bill & Melinda Gates Foundation - funded Collaboration for AIDS Vaccine Discovery, which states that the ultimate goal "is to develop a vaccine that prevents HIV infection or disease, anything less than that can be characterized as progress, but not success." AVAC Report 2008, The Search Must Continue, provides a comprehensive review of recent developments in AIDS vaccine research. It explores the issues that have been raised in the wake of the failure of Merck's vaccine candidate and provides context for the events and major changes of the last year in HIV prevention research. The three sections of this year's report outline some specific deadlines and challenges in AIDS vaccine scientific strategy, clinical trials, and the broader realm of HIV prevention. These arenas mesh like watch gears, and must function just as smoothly if the field is to proceed. 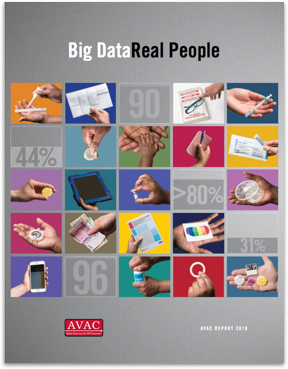 In this report, AVAC offers its first contribution to the scenario planning critical to the success of the field. The next several years bring a variety of scenarios which cannot be encountered unprepared. Instead, the AIDS vaccine field, and the field of prevention research in general, must engage in rigorous debate, dialogue and scenario planning which anticipates the issues that the next few years will bring, and ensures that the wide range of stakeholders are informed and empowered to make decisions to compete against the virus. This year's Report offers recommendations for the field in general, the Global HIV Vaccine Enterprise, policy makers, researchers and communities. Some of these recommendations will be familiar because AVAC has made them before, and they are reiterated because it is AVAC's belief that they are still needed. (See the timeline of 10 years of AVAC recommendations for a perspective on progress over the past decade.) The Report also provides an update on tenofovir pre-exposure prophylaxis research. This year's Report focuses on how the field is readying itself for the road ahead. Several chapters address different aspects of "readiness" - a term that means different things to different people, but that is at the heart of the AIDS vaccine advocacy agenda today. AVAC Report 2003: 4 Years and Counting: How do you Fight a Disease of Mass Destruction? When America became frightened by the bio-terror threat, Congress and the Administration moved swiftly to put funding and incentives in place. That same kind of decisive action is needed to accelerate research and ensure an AIDS vaccine is available to all who need it. This Report looks at the bioterror model, and provides the results of our new industry survey. Five years away from the date former President Bill Clinton set as a goal for finding an AIDS vaccine, there are more candidate vaccine products in development than ever before. No one knows if any of the current experimental vaccines will work. No one even knows what immune response a vaccine needs to elicit to prevent HIV disease. The only way to obtain answers is to ask tens of thousands of altruistic and courageous participants to participate in dozens of trials. The only way to obtain answers is to invest hundreds of millions of dollars to fund these trials. AVAC Report 2001: 6 Years and Counting: Can a Shifting Landscape Accelerate an AIDS Vaccine? In 1996, AVAC was the first organization to demand that development of an AIDS vaccine become a national goal. President Clinton set that goal in May 1997, calling for a successful vaccine by 2007. We are now six years away from the goal and counting. None of the challenges are insurmountable. The optimism that characterizes HIV vaccine research today should drive policy makers and researchers to grapple effectively with the issues that remain. An HIV vaccine is possible. The question is how soon we find it, and who gets it when we do. AVAC Report 2000: 7 Years and Counting: How Can We Overcome Obstacles to an AIDS Vaccine? The last year was one of great activity across US agencies and throughout the world. This Report documents the steadily increasing activity in the quest for a vaccine against HIV. We have also identified several actions necessary to accelerate development of HIV vaccines, and we outline all of this in the AVAC report for 2000. AVAC Report 1999: 8 Years and Counting: What Will Speed the Development of an AIDS Vaccine? This Report urges government, industry, and community to dedicate themselves to the development of a safe and effective HIV vaccine. If the goal for 2007 cannot be achieved, then we need to know what will be accomplished over the next eight years toward a vaccine that could bring the HIV pandemic under control. With 16,000 new HIV infections each day, the world can afford no delay. This Report describes what each of these sectors has accomplished during the past year and outlines what each can do to speed the search for a preventive vaccine. AVAC Report 1998: 9 Years and Counting: Will We Have an HIV Vaccine by 2007? This report surveys the public- and private-sector efforts on HIV vaccine research and development in the past year, with a focus on the US government agencies and pharmaceutical companies that are most likely to make a difference. It finds that, despite an impressive array of dedicated researchers and increasing funding for HIV vaccines, the world will fall short of President Clinton's deadline.